Alan is a social sector consultant and one of the founding directors of Quantica Education, a school of social entrepreneurship in Colombia. Why Do We Keep Producing Impact Reports, But Not Intended Impact? 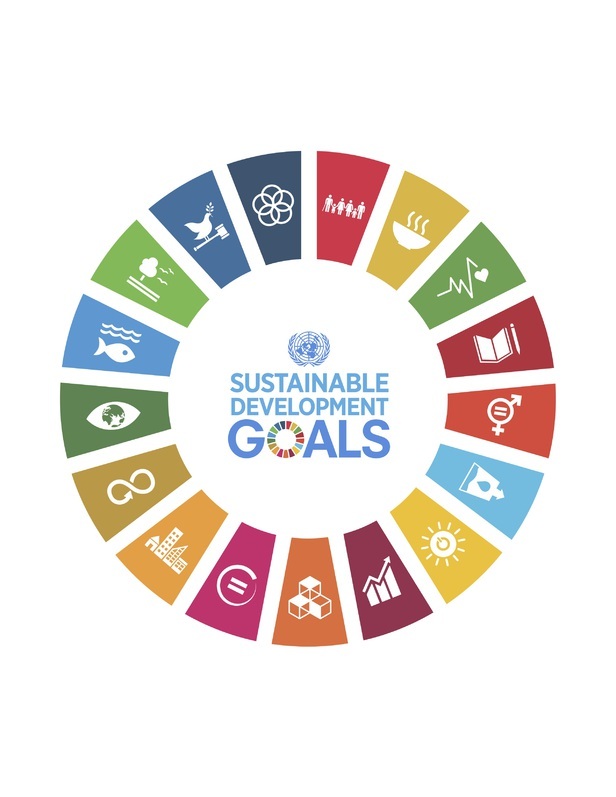 The Sustainable Development Goals (SDGs) have challenged both the public and private sector to amplify the outcomes of purpose-driven work, and in many cases to pursue SDG alignment. Part of this challenge involves aligning impact reporting – communicating the difference you have made – to the impact categories outlined in the SDGs. With this global call to action across multiple impact categories, the Goals have re-defined the expectations of those who fund these programs and services. At SoPact, we work with clients across this financing spectrum, from funders to recipients. And they all seek impact as a core driver of their activities. While engaging these passionate individuals and organizations, we see that funders are asking for more programmatic alignment with Sustainable Development Goals – and expect import reporting to clearly reflect that. Often, those raising funds (our clients) haven’t put in place a strategy for such alignment, nor do they quite know how. Impact reporting goes beyond choosing a key impact category and some indicators. At least it should. Because as the impact landscape continues to saturate, amidst all that noise your impact report needs to shine. It needs to sing. In this blog, we’ll take a deeper dive into the SDGs, how they provide a powerful framework for reporting, and some strategies for effective SDG alignment in your impact reporting. But first, we’ll take a step back and look at the Sustainable Development Goals themselves. What are the 17 Sustainable Development Goals? Make cities inclusive, safe, resilient and sustainable (Goal 11) With a time period of 15 years, the goals may not seem realistically achievable in an absolute sense. However, just as the Millennium Development Goals did in previous years, the SDGs provide a shared language for international development. They aim to catalyze not just a shared understanding of our global challenges, but also to invite collective and collaborative action to overcome them.Since their inception less than two years ago, the SDGs have indeed stoked the spirit of collaboration across the globe. Numerous coalitions have formed, within country and between countries, as have financing platforms to drive resources towards achieving these goals. The move to fund the SDGs means foundations, impact investors, philanthropists, governments – all the players in the ecosystem – need to become SDG literate if they are to compete and to achieve impact. There are 230+ SDG indicators, published in conjunction with the goals. These indicators break down each impact category into tangible metrics which can used to benchmark and measure progress. Funders and change-makers alike thus have ready-made metrics to frame program strategy and establish performance expectations. NGOs and others working in this sphere can use these indicators to be more strategic about how they approach their work, including using them in proposals to funders and in impact reports during or after a program or service has been implemented. This sort of transparency engenders accountability, trust, and commitment to the problem you are solving. And as we have seen at SoPact, it brings another area of expertise in which NGOs and others must excel to be successful, to achieve the impacts they exist to create. Using the SDGs’ indicators in your impact reporting is, of course, essential to SDG-oriented funders. But it is only the foundation of a powerfully aligned impact report. A bevy of resources exist with tips, tools, and other strategies to improve your impact reporting. High level principles of such reporting call for keeping your communications relevant to your audience, making sure your claims can be easily verified, and that your demonstrated impact complements previously defined goals. Here enters the potential of the SDGs. Goals have already been defined, as are ways to assess progress towards them (indicators). Beyond these fundamentals, below are a number of strategic ways to improve your impact reporting in alignment with the Sustainable Development Goals. The global exposure of the SDGs means there are simply a whole lot more people working from this mindset. That means, in addition to the impressive resources from the UN itself, you can find a significant amount of available tools, databases, etc. to make your impact reporting journey more efficient and effective. One such tool is the SDG Indicator Wizard (pictured) from the SDG Philanthropy Platform. This would be most useful in the planning stages of your alignment process. Our previous blog on metrics discovery details the why and how of this phase (although not SDG-focused).With the Wizard, you enter a portion of text describing, for example, what it is you do and for whom you serve. The tool analyzes this text and tells you which goals you align with, offering links to explore the nuances even deeper. The SDG Philanthropy Platform also has an extensive database of qualitative resources, including free downloadable impact reports from a variety of international organizations.Another useful tool is the SDG Compass Guide, a five-step primer to SDG alignment. While it is targeted at large multinational entities, one of the core steps focuses on strategies for communicating impact. These strategies can be adapted at any level of organization across impact areas and have valuable insights relevant to any impact report. However, you decide to showcase your impact, from storytelling to quantitative visuals, be sure to weave a narrative that contextualizes your impact from start to finish in the lexicon of the SDGs. You may be working to change the lives of rural farmers in a developing country, and it is important to share their stories, but a funder will likely want to know how that difference you are claiming compares to the broader problem outlined in the framework of the SDGs. You are of course an expert in your impact area, but are you an expert in that issue as the UN and the SDGs have framed it? Immerse yourself in the latest Progress Reports from the UN or cite recent findings from SDG summits or other conferences in your impact theme. How does your contribution position in this important discourse? 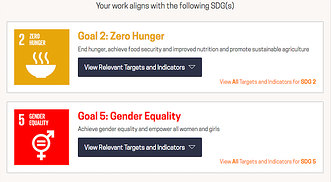 Highlight these distinctions, particularly as they relate to your focus on SDGs alignment. Given the global flavor of the SDG goals, doing so can emphasize your broader relevance and commitment to the problem you are trying to solve. Let’s say you’re a small NGO operating in Bolivia to provide rural populations with better access to electricity. You have identified that you align with Goal 7: Affordable and Clean Energy, and have even chosen relevant indicators. It’s all very simple, but now you can also leverage that SDGs focus into partnerships with similarly aligned initiatives. You could start with your own government, in fact. Considering that 193 member states of the UN unanimously adopted the SDGs, it is likely your government has made some commitment (and allocated resources) to them. In Bolivia’s case, and for the aforementioned NGO, we can also turn to the UN’s partnership resource, an online platform engaging global stakeholders in pursuit of the SDGs. We can see that for Goal 7 there are already 277 existing partnership initiatives. And in Bolivia, there is this one, specifically relevant to our NGO working on electricity poverty. From an impact reporting perspective, partnerships with the government or other international entities lend credibility to your work, something which should be highlighted in your impact reporting. You can also use the networks of these partners to disseminate your report, generating greater exposure for your cause. The shared language for impact reporting made possible by alignment with the Sustainable Development Goals gives funders, foundations, NGOs, and other change-making institutions a path towards effective collaboration on a global scale. Leveraging the SDGs’ framework is ultimately about achieving the SDGs themselves. While it is likely not a panacea to the ills of the impact sector, it eases some of the friction in the ecosystem. Because the SDGs are a global language, learning how to build effective nonprofit impact reports can convey your relevance to solving the challenges of our time. Thus, while you may act locally for your cause, you can powerfully position yourself in the broader global picture. And if we all took that approach, the fate of that global future would look a little bit brighter.